Fire rages across a Romero Canyon hillside in Montecito, California, on December 12th, 2017. Exceptionally unusual weather conditions across Southern California have encouraged continued growth of the massive Thomas Fire, which will soon rank as the largest wildland fire in modern California history. As of Monday afternoon, the fire had swelled to 270,000 acres, making it virtually certain that the fire will eclipsing 2003&apos;s Cedar Fire to become the biggest blaze since detailed record-keeping began in 1932. 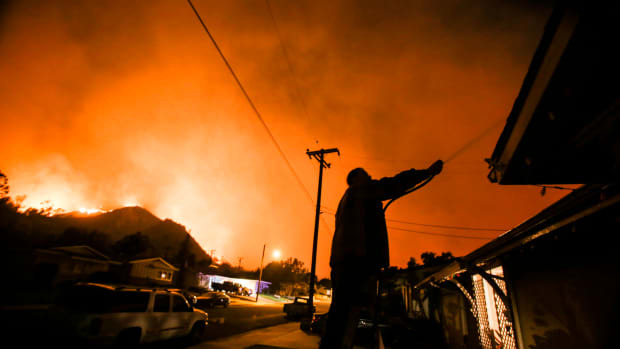 The Cedar Fire burned just over 273,000 acres in 41 days; the Thomas fire took just 14 days to nearly surpass it—and did so during what is normally the peak of the rainy season. A possibly bigger fire, as large as 300,000 acres, burned in 1889. At last report, the Thomas Fire was 45 percent contained and will almost surely continue to grow given the dire weather forecast: Significant rain is still at least two weeks away, and forecasters anticipate at least three additional high wind events in the next week. 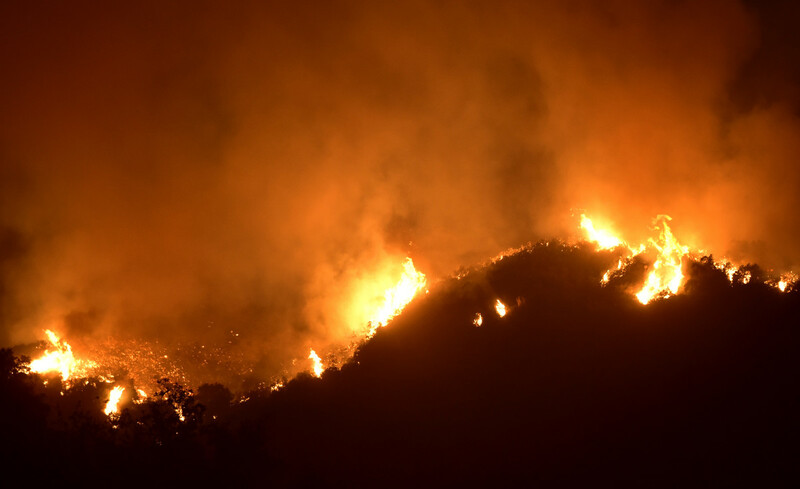 The National Weather Service in Los Angeles maintains a Red Flag Warning for the region, warning of "very rapid fire spread, long range spotting, and extreme fire behavior." 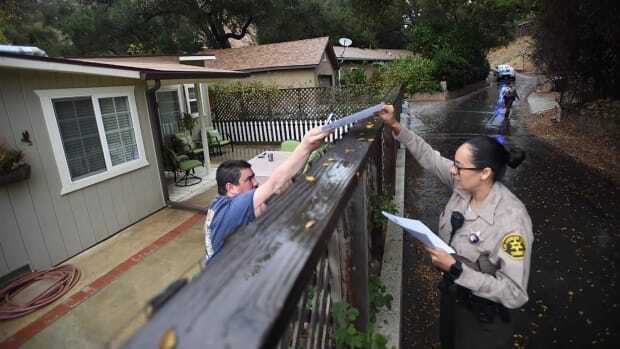 Erratic "Sundowner" winds blasting at up to 65 mph forced additional voluntary and mandatory evacuations affecting large parts of Santa Barbara on Saturday, including the entire downtown area, as well as nearby Montecito and Summerland. 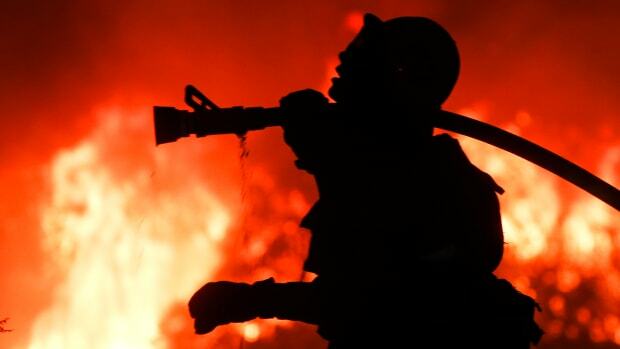 More than 8,300 firefighters are now working the fire, the largest firefighting effort in California history. Despite the colossal effort, officials estimate full containment of the fire won&apos;t take place until early January. That&apos;s partly because, given the persistently poor weather conditions, the fire is burning so intensely that it is creating its own weather conditions. 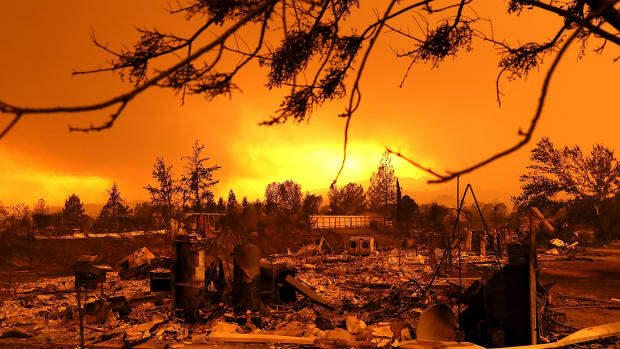 Years of drought combined with the lack of recent rainfall have contributed to the fire&apos;s huge size and wild behavior, forcing firefighters to speak unusually plainly about the risks the blaze poses and take aggressive action to stop it. Firefighters had smothered portions of the Santa Barbara hills with hundreds of thousands of gallons of fire retardant in an attempt to keep embers from igniting spot fires, officials said. 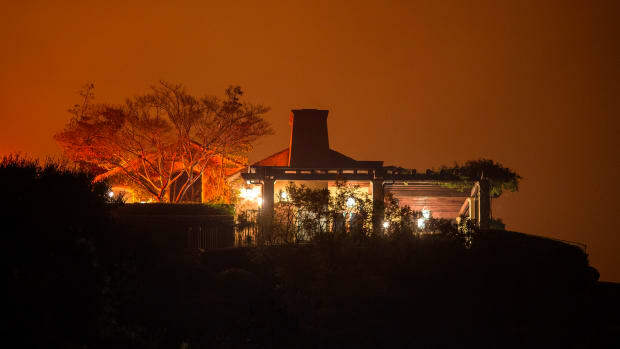 Some hillsides were intentionally denuded above Montecito, Summerland and Carpinteria, including in Romero and Toro canyons, to limit the potential damage. Another expected lull in the winds on Monday and Tuesday will allow a window for further aggressive operations to contain the fire, including the use of "helitorches," which are exactly what they sound like: Helicopter-borne flamethrowers used to light terrain in a controlled manner before the main fire front arrives. These actions alone will be enough to boost the Thomas Fire into the top spot in California&apos;s history. One extreme tactic firefighters have employed is called "fire front following," designed to preserve firefighter safety in urban areas when "the chances of success are impossible." Fire photographer Stuart Palley was embedded with a Cal Fire crew in Toro Canyon last week, and witnessed the result firsthand. "We were on a hillside, they were doing structure protection, the sun went down, the winds picked up, the fire blew up and they had to bring all the units down from the canyon for safety," Palley says. "As soon as it was safe to go back up they re-entered the fire and saved some of the houses with minutes to spare. Everything was on fire—cars, orchards, trees—but the houses were OK. They only lost one house out of maybe 50 up there. It was incredible to see." 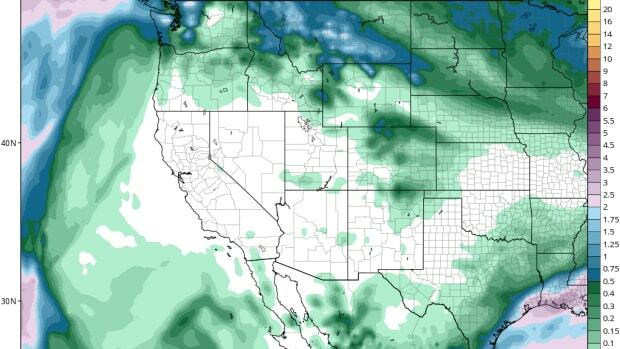 Weather models continue to show absolutely no rainfall until December 30th at the earliest. Fires have already scorched nearly 300,000 acres in the state this year. Without rain, high temperatures will keep the smoke coming—and could spur new fire growth.